﻿ It wouldn’t be too much of a stretch to call Carré Callaway an outsider icon. The mastermind behind Queen Kwong mightn’t be a household name in any stretch, but if there’s anyone flying the flag for making music completely divorced from any notion of being trendy, it’s her. And within that music, it’s not hard to see the ripples of the two most significant musical touchstones that have often been associated with it – her mentor, Nine Inch Nails’ Trent Reznor, and The Icarus Line’s Joe Cardamone, her longtime collaborator who has worked with Callaway since her very earliest releases under the Queen Kwong moniker. Love Me To Death sees both sides consolidated in perhaps the most cohesive, concise fashion that Callaway has released to date. The most prominent is Cardamone’s, with he and Callaway improvising the entire album in the studio in a manner befitting of its loose, raucous nature, but Reznor’s shadow still looms over, bringing out a darkness that makes Callaway’s brands of post-punk and indie-rock all the more compelling. The improvisation greatly contributes to this as well; this is as close to a total lack of artifice that an album can have, and Callaway displays an intense openness all the way through as she continues to struggle with her mental health and lays herself totally bare. There’s an electricity to the presentation in the constant shifts of emotion, from the nervy, jolting energy of Fools Gold and Prehistoric Blues, the solemn quiet of Old Faithful, and the initial quiet of The Happiest Place that eventually spirals into walls of discordant noise. It’s easy to see how this might be incredibly daunting to some; the lack of a barrier between Callaway’s words and her intent, and that can definitely be an implacable wall to get through. That can definitely be appreciated, and the abundance of jagged, torn edges and swathes of noise make Love Me To Death a difficult listen at the best of times. Even on the more accessible cuts like the title track and On The Mend, the structure of more traditional garage-rock is corrupted into something a lot darker and exposed. And while that all can be off-putting for some, it appears as a feature more than a flaw. Musically, Love Me To Death taps into the wildness and unpredictability of the thoughts that fuel Callaway’s writing, and it pulls back another layer that separates her art from herself as a person. That alone will probably be enough for some to immediately decide whether Love Me To Death is an album for them. To a degree, it’s understandable; there’s a lot of very tangible weight attached to this album that’s virtually impossible to avoid, even in the most casual, passive setting, and that will undoubtedly put some off. But ultimately, Love Me To Death really needs to be heard to do it justice, to experience how Callaway’s purging comes across in its own natural environment. It’s definitely worth listening to as well, as an unfiltered, uncensored look into the workings of a truly fascinating artist who frequently goes overlooked. Even if it’s fraught with imperfections, they’re what make this album that experience that it is. 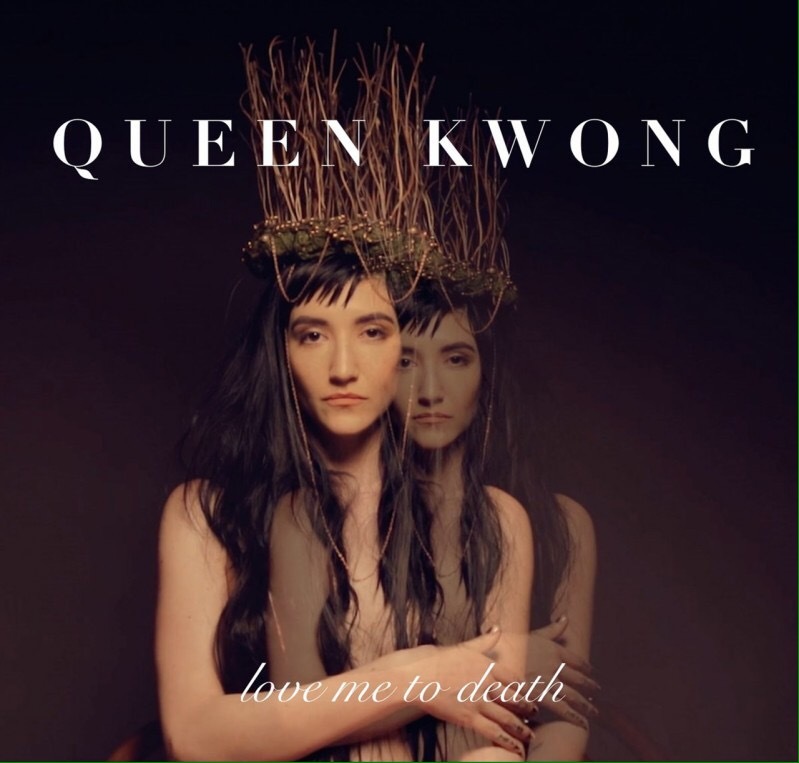 ‘Love Me To Death’ by Queen Kwong is released on 13th April on Edison Sound.